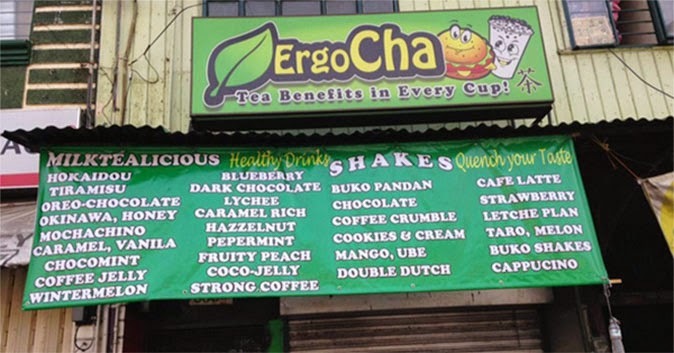 Oxalic acid, a colorless poisonous substance, caused the April 9 milk tea deaths of the ErgoCha teahouse owner and customer, police said. The organic compound, commonly found in anti-rust products, bleaches, and metal cleaners, is much stronger than acetic acid. Symptoms from swallowing it include abdominal pain, collapse, kidney problems, low blood pressure, mouth and throat pain, weak pulse, tremors, shock, and vomiting. On Friday, the Manila Police District (MPD) charged Lloyd Abrigo with two counts of murder for the deaths of his father, William, and ErgoCha customer Suzaine Dagohoy. The 23-year-old suspect is also facing one count of frustrated murder for the case of Arnold Aydalla, Dagohoy's boyfriend, who also took a sip of the drink but survived after receiving treatment at the hospital. The MPD reportedly disclosed that the victims had ingested oxalic acid, based on the results of toxicology tests conducted by the Philippine National Police (PNP) crime laboratory. Lloyd earlier denied he has something to do with the milk tea deaths and refuted their helper's allegation that he brought a foul-smelling liquid into the store's kitchen the night before the incident happened. Adela Abrigo, Lloyd's mother and the registered owner of ErgoCha, said she was surprised that the MPD had "singled-out" her son and did not press charges against their helper. The Abrigo family's legal counsel, lawyer Benedicto Buenaventura, also questioned the evidence cited by police.